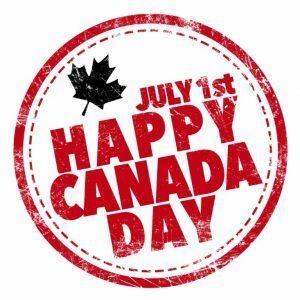 July 1st is Canada Day, the 151st anniversary of this nation’s 1867 self-governing status. Visitors can join patriotic residents celebrating this great country’s freedoms, values, and diversities Friday night, June 29 through Sunday, July 1. This year’s annual tradition features a parade, music, art and car shows, food vendors, birthday cake, fireworks, and more. Review the details below to discover fun activities and welcoming Niagara Falls hotels. To stay near the fun, check out the top 10 hotels surrounding the Niagara Falls Canada Day festivities. Choose from various lodging options from standard rooms to luxurious suites for families, couples, and singles. Popular amenities include Internet, in-room movies, refrigerators, microwaves, whirlpools and private balconies. Common areas range from swimming pools and fitness centers to lounges and restaurants. Would you like the hotel with the best view in Niagara Falls, Canada? Marriott Niagara Falls Fallsview Hotel & Spa offers lavish accommodations closest to the cascading water. Rooms feature plush beds, coffee makers, hair dryers, and more. Relish breakfast at Terrapin Café with a spectacular waterfall backdrop. Visit Lobby Lounge for quick snacks or leisurely cocktails. Casual yet elegant Morton’s Grille serves fresh seafood, steaks, burgers, and salads. Tranquil Serenity Spa’s rejuvenating treatments include massages and facials. One of the classiest Niagara Falls hotels in Canada with Fallsview scenery is the Crowne Plaza. Just one block away from the famous natural wonder, old-world opulence meets modern conveniences. Enjoy comfy beds, pay-per-view movies, making your own complementary coffee or tea, and shopping. Prime Steakhouse Niagara Falls classics extend from steaks to fresh seafood and cocktails to wine. Want more options? Niagara Falls Hotels boast over 165 diverse properties for every lodging preference, group size and budget. Book your choice online today.